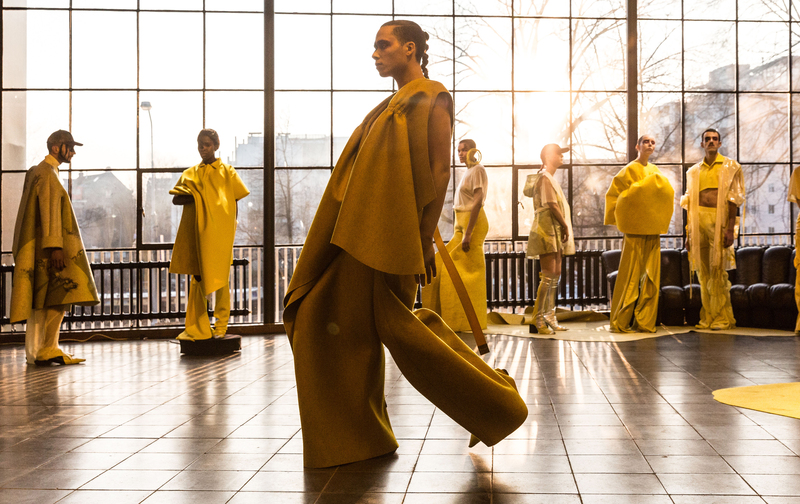 17 third-year fashion design students of ArtEZ University of the Arts present the nineteenth edition of 'Collectie Arnhem'. 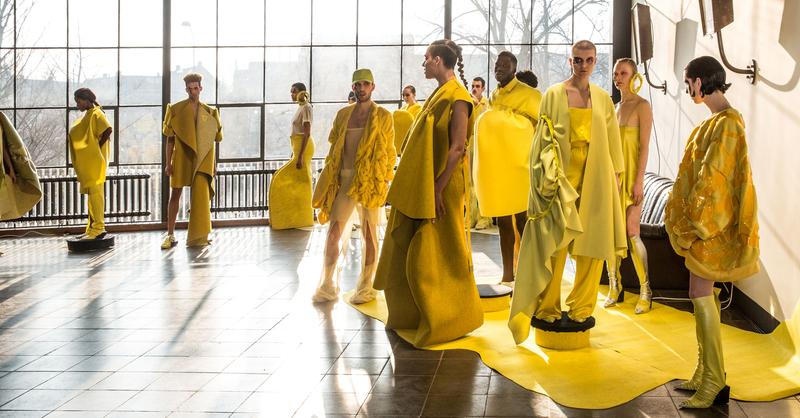 In addition to designing the collection they gain experience in all the different aspects of the fashion industry. We have arrived on top of the mountain, on which we have been trying to balance for some time now. The collection emerged from a longing, a yearning for a world of our own, free from restrictions. The design process became a personal journey into what freedom really means. Using this as their starting point, the designers created the shapes intuitively. 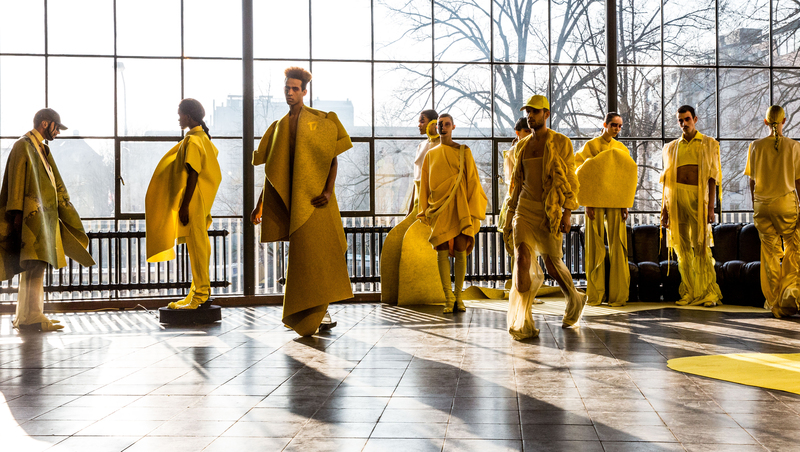 The collection offers an alternative view of what clothing can be. It is all about the tension between control and freedom.